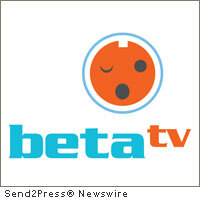 LOS ANGELES, Calif., Feb. 11 (SEND2PRESS NEWSWIRE) — BETA Records, LLC (www.betarecords.com) announced that Phil Quartararo, known to music industry professionals as “Phil Q,” has accepted a role on BETA’s new Advisory Board with the goal of leveraging the company’s position as a leader in music media promotion and production. “I’m excited to be a part of the new group of BETA executives coming together to crush old barriers and ignite new models,” Quartararo stated. “I’m determined to help BETA launch their new dynamic audio ad technology and bring in new production ideas to further develop BETA TV’s reach and music integration,” referring to the weekly television program currently syndicated in 146 U.S. cities. “BETA’s going to have people scratching their heads in the next couple years as they partner with artists earning revenue together by selling digital brands coupled with real traffic numbers,” predicts Quartararo. The upbeat approach of BETA is in stark contrast to much current music news. “We are moving forward with brand new ways of making music relevant, exciting and profitable for artist and businesspeople alike,” Honetschlaeger says. BETA is a leader in making, moving, and monetizing music. Across multiple platforms, 500,000 fans enjoy BETA music content each week. Chris Honetschlaeger may be contacted directly at 310.999.2382 or via e-mail: chris@betarecords.com . Current TV line-up may be found at: http://www.betarecords.com/beta/tv/schedule/ and sample music segments are at: http://www.youtube.com/betarecords . Original Keywords: music media promotion and production, Phil Quartararo, Beta TV, Advisory Board, Current TV, Chris Honetschlaeger, television, iptv, cable, program, bands, artists, live, performance, debut, making, moving, and monetizing music BETA Records LLC Los Angeles California LOS ANGELES, Calif.
REFERENCES: Business News, music media promotion and production, Phil Quartararo, Beta TV, Advisory Board, Current TV, Chris Honetschlaeger, television, iptv, cable, program, bands, artists, live, performance, debut, making, moving, and monetizing music BETA Records LLC Los Angeles California LOS ANGELES, Calif.